Internet in India came into existence on 15 Aug 1995 when VSNL first introduced dial up connections in only six cities which costed Rs 5000 for 250 hrs. and now its the day when India is ranked as 4th in the list of maximum no.of Internet users. Internet far apart in the history was used only for medical purposes or to communicate in the times of war. But now it is came has came out of this scenario and has entered in our homes, now we use Internet for everything from searching jobs to purchase goods, from searching bride/groom to admissions in schools or college, for e-billing or booking our tickets for airlines or railways so now its a part of our lives and i think this is the reason why the the rate of users is increasing 15.20 % in India. Till today it has reached to 6.9% of population in India, this is not only with the cities but the villagers are familiar to net and its services. Now they order there fertilizers and equipments online, so its a boon to them. So before the emergence of internet, the main stream of information in India was Postcards and newspapers which were issued by Indian post service but now internet has changed the face of transferring and sharing of information, any thing you want to know can be googled anytime anywhere in the world and with the help of email services u can share them with in no time. Today there are lot many services through which people living at far off places can feel close to there relatives or friends(like facebook or twitter), therefore its help in building up healthy relationships, so there is no doubt that the magic of net is on every body's mind!!!! How Internet came in to existence in India. 15 Aug 1995 - VSNL launched Internet package of 250 hrs at Rs 5000, emergence of windows and explorer 1.0. 1997 - ICICI bank started online banking, India's first successful (.com) website naukri.com launched, Sabir Bhatia sold Hotmail to Microsoft in Rs 1,760 crores. 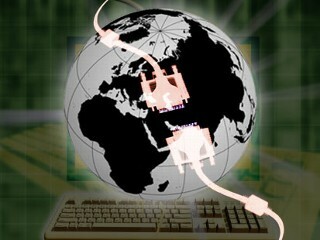 1998 - India started its own ISP strategy, sify became India's first own ISP. 1999 - MBA student Manish started kabadibazar.com that became popular for buying second hand goods, Sify bought indiaworld.com in Rs 500 crore, Hindi portal web world started . 2000 - India's first free ISP, calltiger started, indya.com started with a huge Ad of Rs 4.5 crore, IT act established, Yahoo started in India as yahoo.co.in and msn as msn.co.in, India started its own ISP gateway. 2001 - India started online railway ticketing (www.irctc.com), to fight cyber crime firsolice station was established in Bengaluru. 2002 - Brokerage website got bankrupt ! 2003 - To make air journey comfortable Air Deccan started low ticket fares and e-booking. 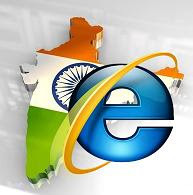 2004 - Microsoft started office in Hindi, google's famous GMail started, eBay overtakes India's baji.com. 2006 - Indian govt blocked few websites. 2007 - BSNL started EVDO card as wireless Internet service, which led to 4.6 crore users of net users. 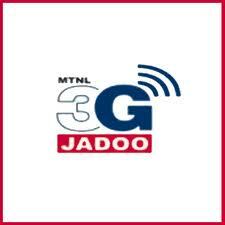 2008 - MTNL started 3G services. 2010 - Republic day's Live Telecast on Internet, Wi-Max service launched in eastern areas of India.